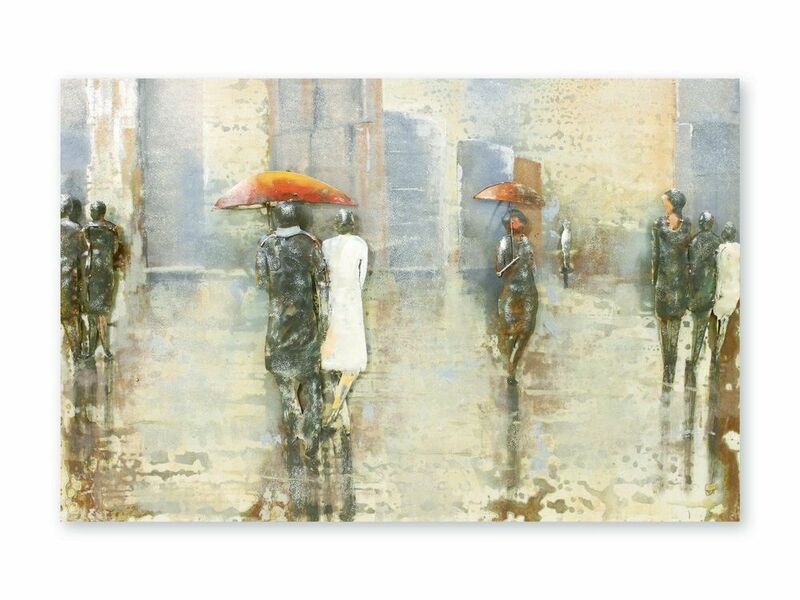 This large rainy day metal picture captures a quiet cityscape as workers and couples dodge the rain. This rainy relief art is crafted from warm tones of orange and yellow metal against the crisp monochromes of the workers' attire, creating a striking juxtaposition. The mottled paint work of this metal hanging creates a watery finish and the pastel shades give it a dreamy softness.